Quit Smoking In 8 Simple Steps! Smoking rates have dropped by almost half over the last 30 years. It was possible for millions to quit. Isn't it time you did too? You probably didn't think a moment of teenage rebellion would lead to a lifelong smoking habit, but it has. So how does it play out now that you're an adult? Cravings, coughing, huddling outside in the cold to light up—and that's saying nothing of the money. "Addiction sneaks up on people," says Richard Brunswick, M.D., author of Can't Quit? Bullsh*t! You Can Stop Smoking. "It's not their fault. The tobacco makers know how addicting nicotine in the form of tobacco is." more Americans still smoke, despite overwhelming evidence linking the practice to cancer, heart disease, type 2 diabetes, and a laundry list of other killers. 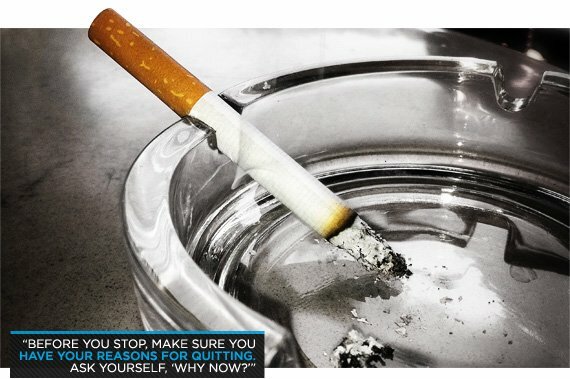 No wonder the average smoker sacrifices about 10 years of his or her life in dedication to what they recognize to be a filthy, disgusting habit. If you're one of the 50 million who is tempting fate for a puff, push aside feelings of shame or defiance and come up with a game plan to quit. If health stats aren't enough incentive to quit, consider the cost: It costs five grand or more a year to smoke two packs a day, assuming you're paying $7 a pack-a price which many would consider a smoking deal. While quitting on a whim is a noble idea, going in unprepared puts you on the road to relapse. "You may go smoke-free for a few days or a week or two, but then you'll slip up, throw up your hands, and say it's impossible," says Brunswick. "But if you quit with a plan, you're much more likely to be successful." Use the steps below to ease the blow. A little help goes a long way. People with support networks have a higher rate of staying smoke free, so follow the three G's: Get help, get a buddy, and go public. Use resources like 1-800-QUIT-NOW or smokefree.gov. Seek out a buddy who has quit and can help you through a craving. Make it a policy to never bum, buy, or borrow. Tell your friends you're quitting and ask them not to offer you a smoke. Meds like Chantix (varenicline) or Zyban (bupropion) can help you quit. Most medications are prescribed for three months and covered by insurance, and they're at least 90 percent safer than continued smoking. Be sure to know the side effects, and keep them in perspective. 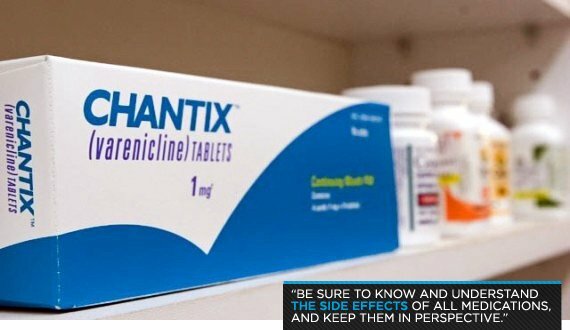 "Chantix is associated with suicidal depression and a slightly increased risk of cardiovascular problems, but using it for three months is far safer than smoking for the next 10 years," says Brunswick. Stats aren't always enough. Before you stop, make sure you have your reasons for quitting. Ask yourself, "Why now?" You're not going to try to quit; you're going to be an ex-smoker. Be frank with yourself about your past, identify the future you want, and create a new storyline for yourself. The odds are that you've done harder things in your life: going through a bad breakup, a family member getting sick, or working for a crappy boss. Use them as motivation. Fear of ballooning weight often hinders quitting. Dismiss the myth and put a few vanity pounds in perspective. "When a person quits, they gain 5-8 pounds on average over the next year, but to be as harmful as smoking, a person would have to gain over 60 pounds," says Brunswick. Quitting also drastically reduces the risk of erectile dysfunction, of which smoking is a leading cause. Know your triggers and reframe your thinking. Instead of considering a cigarette a reward, remember it's a poison. Know what sparks your cravings-whether it's seeing or smelling tobacco smoke, smelling coffee, having a drink, or spending time with particular people. Avoid pitfalls by thinking up a new rewards system. Instead of a smoking break, get your buzz with a morning workout, or de-stress by taking slow, meditative breaths during a fresh air break. If you typically wake up, brew coffee, have a cig, and head to work, try waking up, hopping in the shower, and taking a travel mug of coffee in your now non-smoking car. If you always buy your smokes at a neighborhood convenience store, change your route home. Rework oral patterns by distracting your hands and mouth. Carry something small, sip water, or munch on fat-free popcorn. Clear your home, office, and car of all smoking paraphernalia like packs, lighters, and ashtrays. Stock up on sugarless gum, candy, popcorn, and veggie sticks. It happens. Don't dismiss two successful weeks, six months, or one year as excuses for admitting defeat. Most people who try and quit make several attempts, so don't confuse relapse for failure. "Making previous attempts is a good predictor for successful quitting in the future, so it's actually on the road to being successful," says Brunswick. 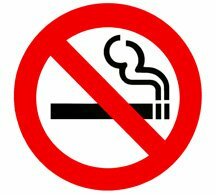 Remember, the worst nicotine withdrawal symptoms-including increased cough, mouth sores, constipation and feelings of breathlessness—generally disappear in four days. Heart disease, strokes, cancer, lung disease, and emphysema are caused by getting nicotine via inhaling cigarette smoke. 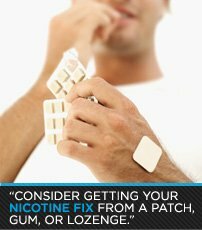 If you've tried and failed to quit four or five times before, consider getting your nicotine fix from a patch, gum, or lozenge. They're at least 90 percent safer than continued smoking.